There hasn’t been much knitting content on the blog lately, but that doesn’t mean I’ve not been knitting – far from it. Over the past few weeks I’ve managed to churn out three pairs of socks, and I present them here in all their glory. 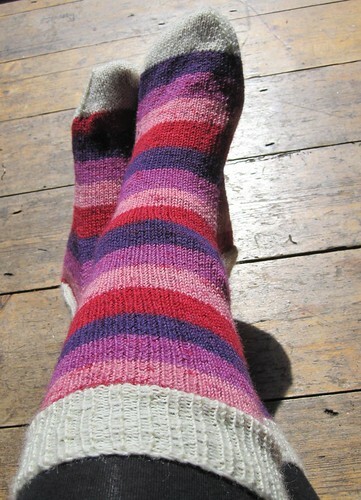 And finally, a rather lovely stripey pink pair. 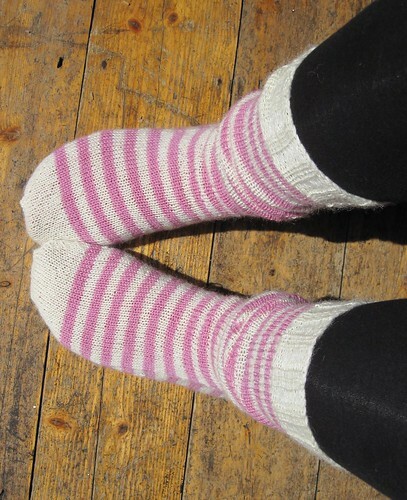 I’ve got enough yarn to make another pair of these, so watch this space for details about how you can WIN THEM. Oh yes.